2006- Acrylic on canvas, unframed. Dimensions are 18" x 24". 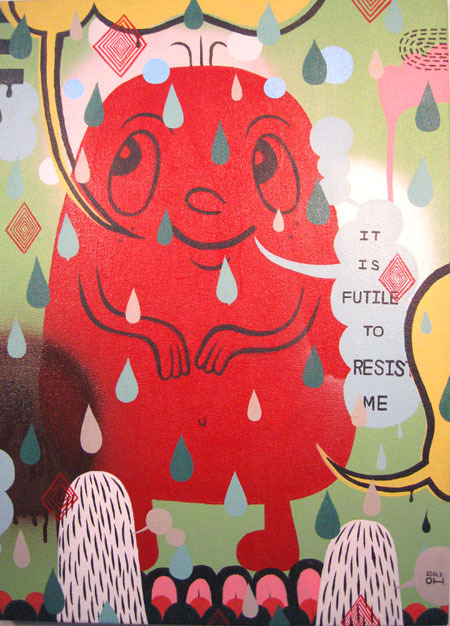 From the "Friends and Strangers" show at Peanut gallery.